We will always work in co-opetition with all those who believe they are in competition with us. We are in the business of ‘Edutainment’. We will educate ourselves, our clients and all those whom we work with, while we entertain them and create a fun learning environment. We will educate our clients in world-class marketing and business development techniques using audio, video, CD’s, other technologies and simple workbooks, workshops and seminar formats. 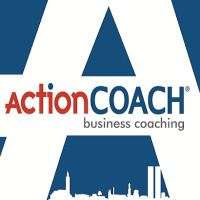 ActionCOACH clients, whether they be small, medium or large in size, will have a desire to have us help them in achieving their goals and be able to take on Our Commitment to them by returning their Commitment to ActionCOACH. They will be forward thinking, willing to learn and grow, and be willing to work as a team player in the development of an organization of ‘people’.